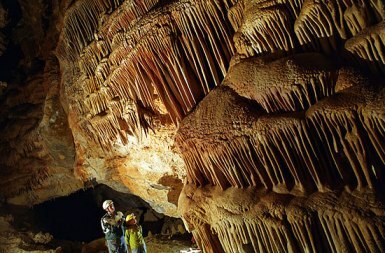 Caving, is also known a know as spelunking and the subterranean wonders of central Pennsylvania come alive in the underground caves and caverns that dot the state. It comes as a surprise to most, but Pennsylvaniahas 1,500 known caves according to the National Speleological Society, and even that's thought to be just the tip of the ice burg. There are 3 developed commercial caves near SMA including Lincoln Caverns, Indian Caverns & Penns Caves but we do not explore those. Rather our SMA caving adventures take us to remote and undeveloped caves where we can really explore all that the caves have to offer. Experienced cavers safely lead campers through refreshingly cool underground worlds to discover the breathtaking formations which have taken literally millions of years for nature to create. There's just something about a cave. It represents nature's final frontier -- a subterranean universe of mazelike passages, tight crawl spaces, vast chambers, deep crevices, cascading waterfalls bizarre creatures and extraordinary natural sculptures just waiting to be discovered. 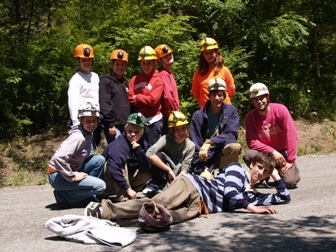 Caving, like mountain biking or rock climbing, is as adventurous as you want it to be. You must experience this journey through one of the Mother Nature’s most unseen wonders!